Former Citizen TV news anchor Joey Muthengi will not relocate to the Unite States of America after recently landing a job with Voice of America (VOA) as many had speculated. 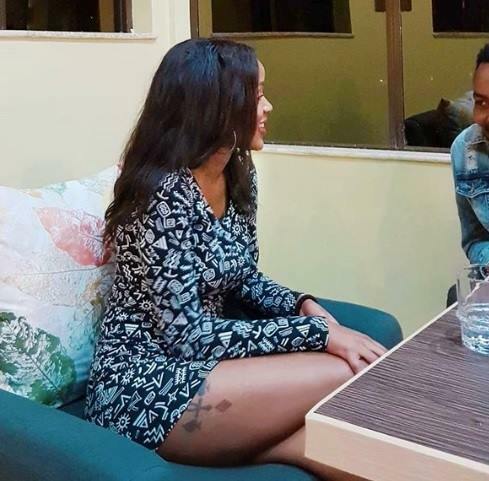 Muthengi informed her fans that she will remain in the country since she will be working as correspondent for VOA from Nairobi. “Guys, I’m not moving I’m a correspondent. 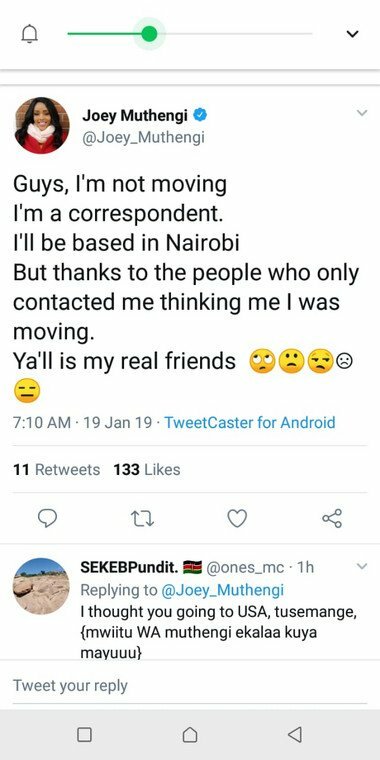 I’ll be based in Nairobi But thanks to the people who only contacted me thinking I was moving. Y’ all is my real friends,” wrote Muthengi. Joey first announced that she has landed a job with the international media house via social media after sharing a snippet of an exchange with VOA. “Joey, English to Africa Service Voice of America has an urgent job request for you, please review on playdesk and accept or decline ASAP,” read part of the Email. Many automatically assumed that she will relocate to Washington DC where VOA is based after her announcement. Joey interned at the media house after graduating campus while in the U.S.
“Omg. Voice Of America was my 1st internship. While still in college. I can’t even. Look at God,”shared Joey Muthengi.